This week in awesome: Rob talks about Christmas and how he enjoys it. We then get a double shot of Q&A that’s all Christmas themed. Everybody break the chocolate orange and check out Zone Base! This week in awesome: Rob talks about The Last Jedi and his new Kinder Surprise toys before Q&A want’s to know about Rob’s planned viewing of The Toys That Made US. Don’t forget to check out Zone Base! This week in awesome: Rob recounts his snow day whilst talking about Power Of The Primes Dreadwind. Turns out it has knees. Q&A wants to know about preference in lobster robots. Don’t forget to check out Zone Base! This week in awesome: Rob answers the decade-long question, who would you like to see work on the Transformers movies! Don’t forget to check out Zone Base! 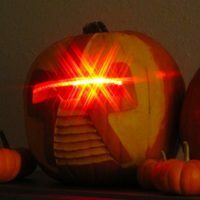 This week in awesome: Rob awakens from his turkey dinner slumber to answer Q&A regarding terms on toy molding. Spoilers, it’s not very clear. Check out Zone Base!